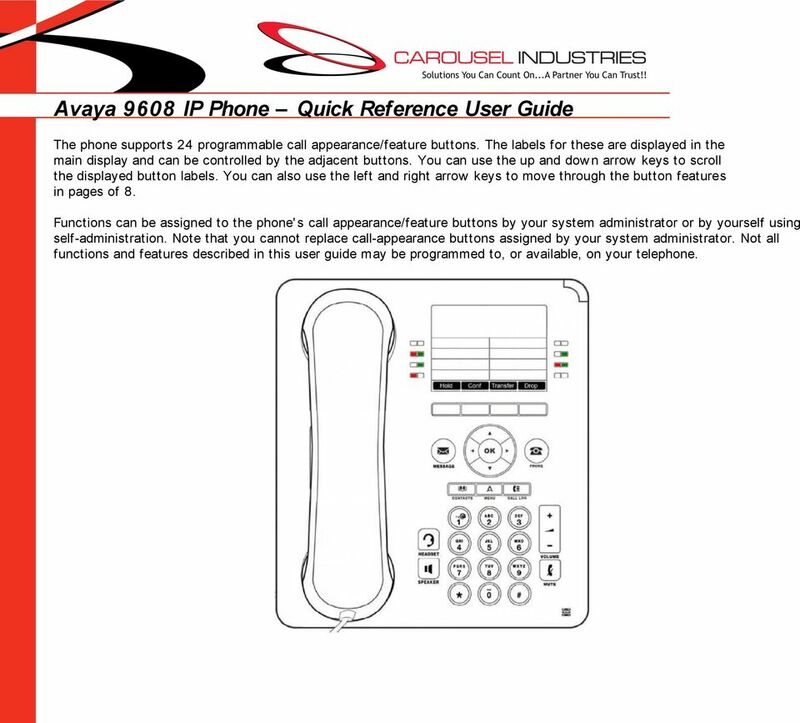 Download "Avaya 9608 IP Phone Quick Reference User Guide"
1 Avaya 9608 IP Phone Quick Reference User Guide The phone supports 24 programmable call appearance/feature buttons. The labels for these are displayed in the main display and can be controlled by the adjacent buttons. You can use the up and dow n arrow keys to scroll the displayed button labels. You can also use the left and right arrow keys to move through the button features in pages of 8. 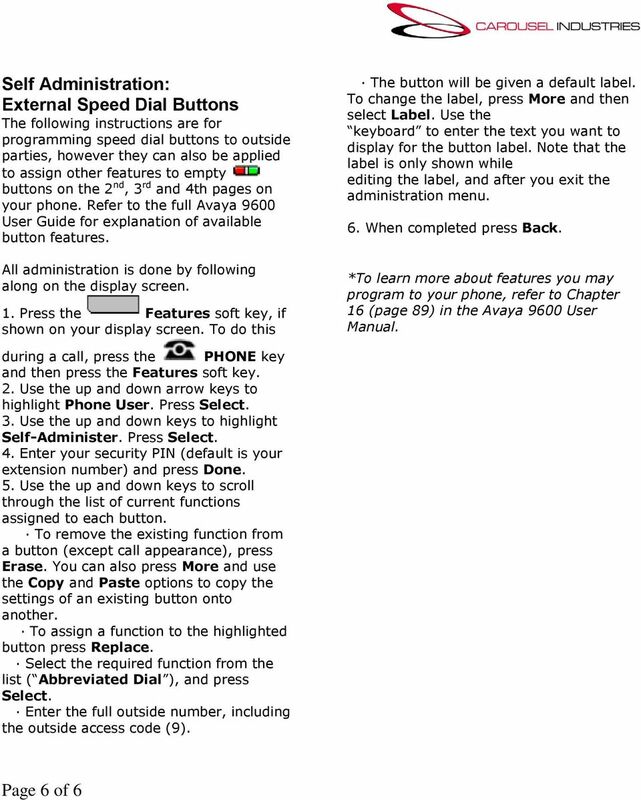 Functions can be assigned to the phone' s call appearance/feature buttons by your system administrator or by yourself using self-administration. Note that you cannot replace call-appearance buttons assigned by your system administrator. 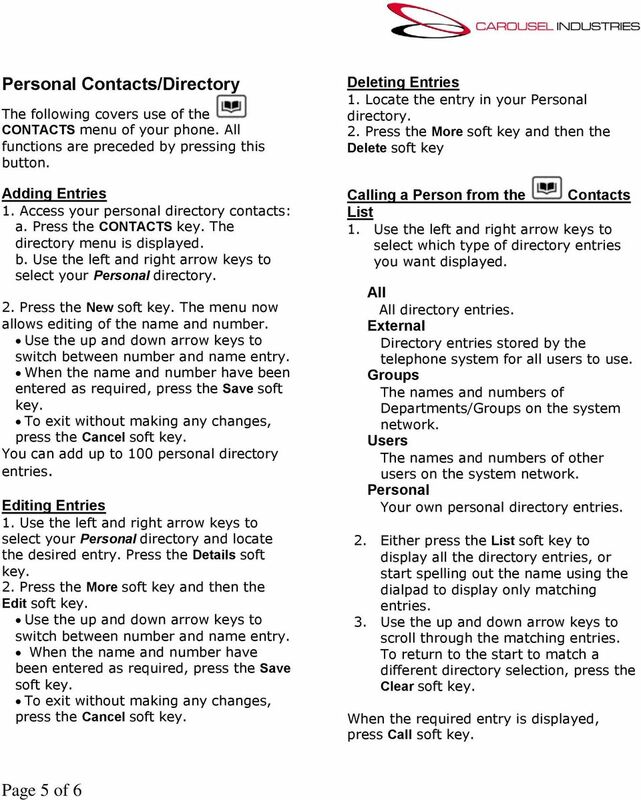 Not all functions and features described in this user guide may be programmed to, or available, on your telephone. 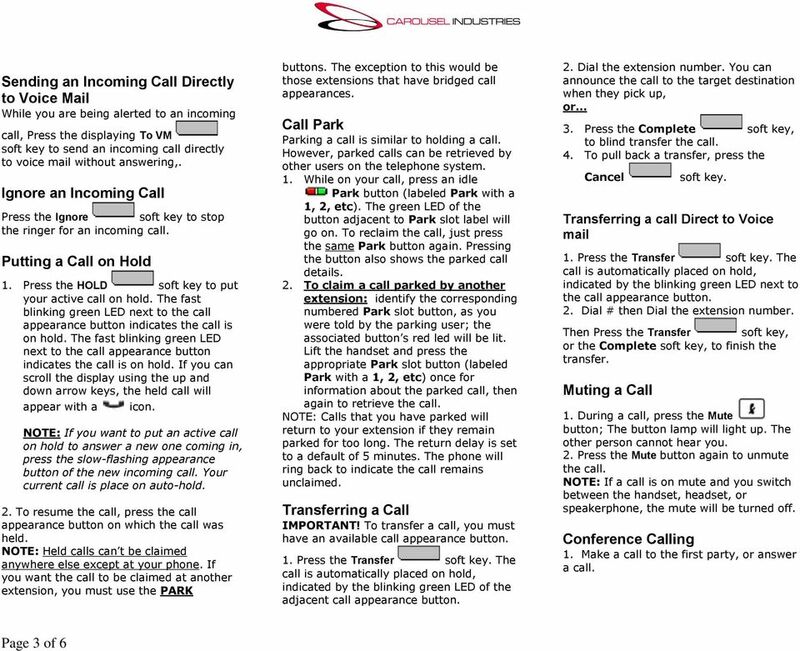 DP 5000 Series Telephone Button Overview. 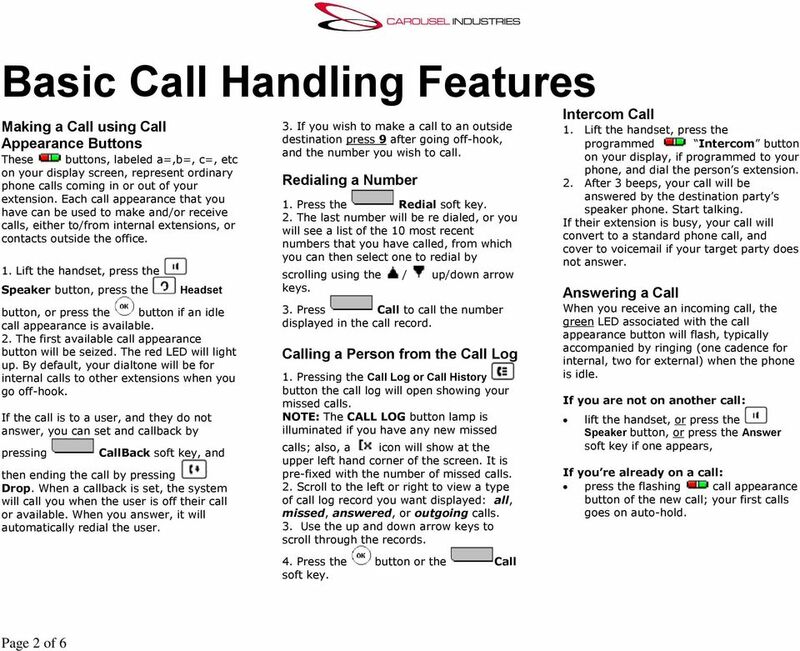 Cisco IP Phone Training Objectives Overview Cisco IP Phone Layout Basic Phone Functions Voicemail Questions 2 Foot Stand Release Press the foot stand adjustment knob on the right-hand side of the phone. 1. Primary Phone Line 2. Programmable Button Indicators 3. Soft Key Labels 4. Status Line 5. 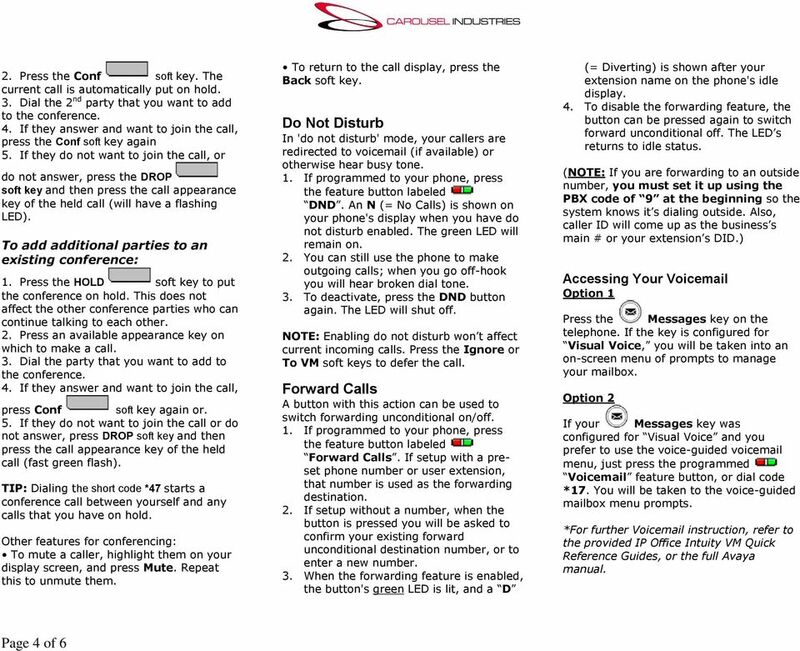 Call Activity Area 6. Phone Tab 7.